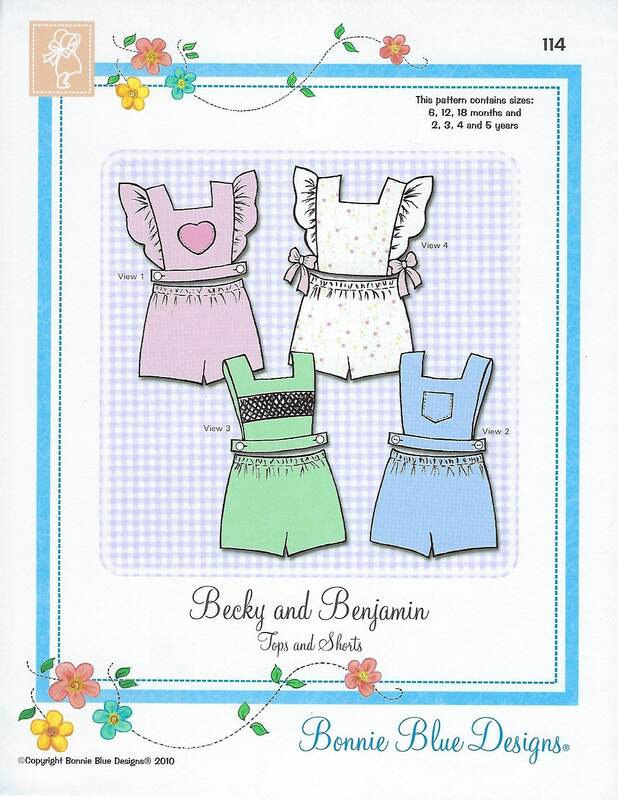 Package includes patterns and instructions to make Tops and Shorts. Easy to make tops and shorts. View 1-3 tops button on the sides and back. View 1 has ruffles added to top with heart pocket. View 2 top has tailored pocket. View 3 has smocked or contrast fabric inset. 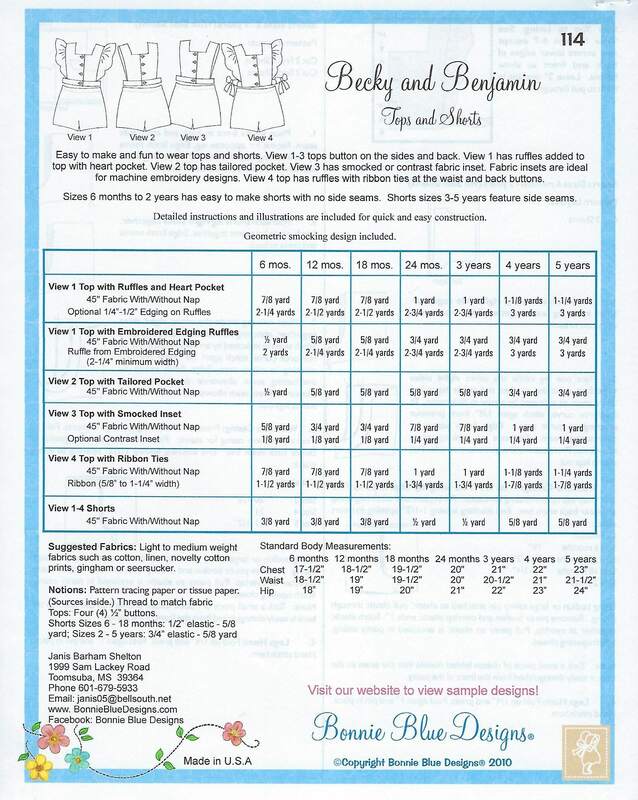 Fabric insets are ideal for machine embroidery designs. View 4 top has ruffles with ribbon ties at the waist and back buttons. Sizes 6 mo - 2 yr has easy to make shorts with no side seams. Shorts sizes 3 yr - 5 yr feature side seams. Geometric smocking design included. 6 mo, 12 mo, 18 mo, 2 yr, 3 yr, 4 yr, 5 yr - All sizes included in one envelope. My order arrived in the stated time and I have made one item from this pattern which turned out nicely with which I am exceptionally pleased with.